Eighth Family Mathematics & Science Day took place @ UBC Faculty of Education on Saturday, November 3, 2018 (10:00 am – 12:30 pm). Science and Mathematics Educators and students from the Department of Curriculum and Pedagogy, Teacher Education Program and the rest of the Faculty of Education community at UBC invite guests from 2 to 102 years old to help us celebrate mathematics and science through hands-on activities. The Mathematics and Science Family Day will focus on exciting hands-on and minds-on activities suitable for all those with curious and inquiring minds. Mathematics and Science Days have become a great tradition that connects our faculty members, students, Teacher-Candidates and community at large with the excitement of mathematics and science learning and teaching. Parents, grand-parents, children, community members, and teachers are welcome to attend! Our previous Math and Science Days at UBC Faculty of Education have been very successful. They attracted hundreds of children and their families and more than 60 volunteers (annually) many of whom are Teacher-Candidates who come to share the love of mathematics and science with the larger community. The 2018 event broke all our records – we had more than 400 guests and more than 130 volunteers. We hope to have a great attendance in 2019 as well. Registration: If you are interested in attending, you have to register here (the event is free but the registration is required!) If you want to volunteer for the event, please email Dr. Marina Milner-Bolotin: marina.milner-bolotin(at)ubc.ca. 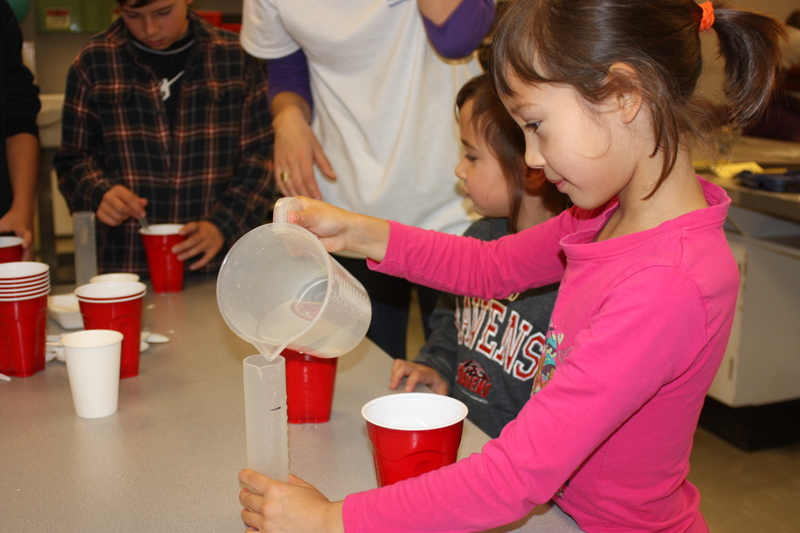 Mathematics is fun for young children exploring the concepts of measurement and volume conservation. The event is organized by the Outreach Committee of the Department of Curriculum and Pedagogy. We are proudly supported by the UBC Faculty of Education (the Dean’s Office), UBC Teacher Education Office, UBC Professional Development and Community Engagement Unit at the Faculty of Education, UBC Department of Curriculum and Pedagogy and David F. Robitaille Chair in Mathematics and Science Education, and Pacific Institute for the Mathematical Sciences (PIMS)!